Yesterday I commented on some of the excellent records issued or reissued over the last year. Alas things are not always that straightforward. 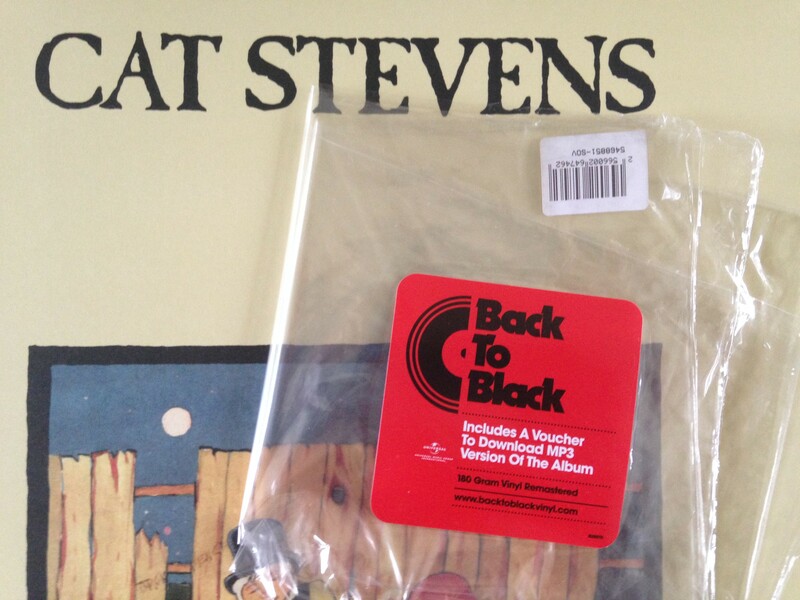 I had seen an advert saying that Cat Stevens 1970 lp Teaser and the Firecat was to be issued in the Back to Black/Sound of Vinyl series on the 12th Jan 2015. This is a really nice album of gentle songs – a classic of the genre. It is out, and, as you might be able to see, it states 180 Gram Vinyl Remastered on the packaging. I took that to mean that as it was a new reissue it had been freshly remastered. Remastering is not always a good thing – it all depends who does it and what source they have. But based on recent experiences from Universal I had expected good things. Mmmm this time I was wrong. It isn’t bad, but it is bass heavy and I am sure it could sound a lot better – it really looks and sounds as though the stampers from an earlier release c 2001 have been just dusted off and used again. So if you have the 180gm release from c 2001 and wanted improved sound don’t bother. I would have really hoped for better as I understood this was due for the High Quality Analogue Productions treatment until the money men or similar got involved and only Tea for the Tillerman was released. By co-incidence I just happen to be reading Mystery in White while the anesthetic from Monday finally works out of my system. It was written by Jefferson Farjeon – a major author between the two world wars – and whose sister wrote the words of Morning Has Broken (Track 2 Side 2 of Teaser and the Firecat). This entry was posted in Music, Vinyl Records and tagged Music, Vinyl Records. Bookmark the permalink.